Lisa Correale is Executive Director, and a Supervising and Training Analyst of PSP. She is a Certified Psychoanalyst and Clinical Supervisor in the National Association for the Advancement of Psychoanalysis. She received her degree from Rutgers University, and certification from the Institute for Modern Psychoanalysis, New York, NY. She is currently a faculty member of PSP. She has been a member of PSP’s Board of Directors since 2012. Dr. Fletcher has extensive training and experience as a therapist, consultant, educator and non-profit executive. He is a Certified Psychoanalyst and Clinical Supervisor in the National Association for the Advancement of Psychoanalysis and a certified Clinical Fellow and member of the Board of Directors of the American Association of Pastoral Counselors. He teaches courses in Organizational & Strategic Leadership and in Pastoral Counseling at Neumann University and courses in the history and evolution of psychoanalysis at the Philadelphia School of Psychoanalysis. He serves on the Philadelphia Department of Behavioral Health’s Faith and Spiritual Affairs Advisory Board. He is also on the mental health faculty of CREDO, an intensive wellness program for clergy administered by the Pension Boards of the Episcopal and Presbyterian Churches US. 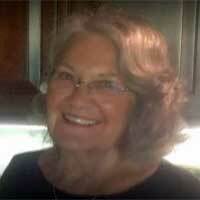 Deb Grigson is a founding partner at eConsultingNetwork. 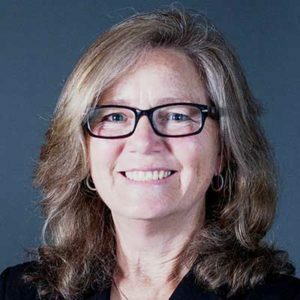 Prior to establishing eConsultingNetwork, Deb worked as an Assistant Vice President in the Compensation Consulting Group of Aon Consulting, providing compensation and related technology consulting to a wide range of organizations. She is currently a program committee Vice Chair and a member of PEBA, 2008 to present. 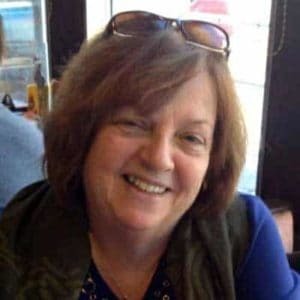 Deb holds a Bachelor of Arts degree in Psychology and Education from Juniata College and a Masters in Education, Psychology/Education from Bucknell University. Dr. Grigson is a Certified Psychoanalyst and Clinical Supervisor in the National Association for the Advancement of Psychoanalysis and Senior Training Analyst and Clinical Supervisor for PSP. Her previous work includes Director of Nursing Education, Haverford State Hospital, Haverford, PA; Supervisor of a Partial Hospital in Glenolden PA. for treatment of The Seriously and Persistently Mentally Ill; and Devereux Foundation, where she worked with children and adolescents with serious Mentally Ill. Previously, she served on the Board of Directors for The Spirit of Gheel, Inc. Dr. Grigson obtained her degree from the Union Graduate School. She has served on PSP’s Board of Directors for the past 5 years. 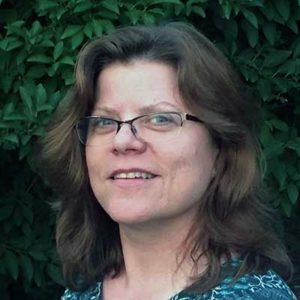 She maintains a private practice in West Bradford, PA.
Marie Hartke is a Certified Psychoanalyst and Clinical Supervisor in the National Association for the Advancement of Psychoanalysis and Senior Training Analyst and Clinical Supervisor for PSP. She has been the Intake Coordinator at PCC since the early 2000’s. Previously she was a Faculty Member of PSP and an Adjunct Faculty Member at Cabrini College for 19 years where she taught Developmental Psychology. She received her degree from Temple University. Ms. Hartke has served on PSP’s Board since 1991. Chandler Zachary is a compliance officer with First Republic Securities Company, LLC., San Francisco, CA. Previously, he was a financial consultant for Ameriprise Financial, Inc., Las Vegas, NV. Mr. Zachary is a CFA Level III Candidate and has extensive knowledge and experience in financial management, financial projections and corporate governance. He became a member of PSP’s Board of Directors in the spring of 2016. Lisa Correale is a Certified Psychoanalyst and Clinical Supervisor in the National Association for the Advancement of Psychoanalysis. She received her degree from Rutgers University, and certification from the Institute for Modern Psychoanalysis, New York, NY. She is currently a faculty member of PSP, facilitating the Case Presentation Seminar series. She has been a member of PSP’s Board of Directors since 2012. Lisa Correale is Executive Director, and a Supervising and Training Analyst of PSP. Dr. Ellis is Past-President and Executive Director and a Senior Supervising and Training Analyst of PSP. 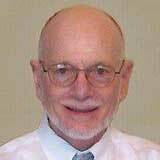 As senior faculty member of PSP, he teaches the core Modern Psychoanalytic courses for the full certification program. Previously he was a faculty member of the Institute for Modern Psychoanalysis, New York, N.Y. He received his degrees from Smith College and The Union Institute. Dr. Ellis is currently on the board of Re-Enter, Inc. His previous board experience includes the Society for Clinical Social Work, Delaware Valley Group Psychotherapy Society and the American Boards for Accreditation in Psychoanalysis. Marie Hartke is a Certified Psychoanalyst and Clinical Supervisor in the National Association for the Advancement of Psychoanalysis and Senior Training Analyst and Clinical Supervisor for PSP. She has been the Coordinator of Intake Services at PCC since the early 2000’s. She is currently a Faculty Member of PSP and was previously an Adjunct Faculty Member at Cabrini College where she taught Developmental Psychology for 19 years. She received her degrees from Chestnut Hill College and Temple University. Ms. Hartke has served on PSP’s Board since 1991. 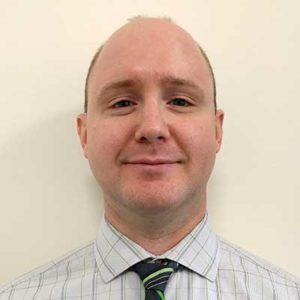 Dr. Lorman is a graduate of MCP-Hahnemann University (now Drexel University) with a Master’s Degree in Nursing, is a board certified psychiatric nurse practitioner and is certified as an advanced practice addictions specialist (CARN-AP). He completed his doctoral studies at the American University in Santa Ana, California and has also completed coursework at the Philadelphia School of Psychoanalysis. In addition to maintaining a private practice, he holds faculty positions with Drexel University in the graduate nursing program and Immaculata University in the doctoral psychology department. Dr. Lorman was previously on the medical staff at Livengrin Foundation in Bensalem, Pennsylvania where he held the position of Vice President & Chief Clinical Officer. In his private practice, Dr. Lorman works with adults who suffer from a full range of psychiatric disorders as well as specializing in addiction psychiatry. He also works with patients who develop psychiatric symptoms as a result of medical conditions. He utilizes a psychoanalytic-medical model and provides services that include individual & group psychotherapy, psychiatric evaluations and medication management. In addition to his academic and clinical experience, Dr. Lorman has presented seminars on various mental health topics, has written multiple articles and textbook chapters and is a management and clinical consultant to several major corporations where he provides therapeutic and group facilitation services. He has completed a Juris Doctor degree and consults in the areas of malpractice and employment law. Dr. Myles is a psychologist who has been at the Philadelphia Consultation Center since 2011. She received her B.A. from the College of Wooster, and her M.A. and Psy.D. from Widener University’s Institute for Graduate Clinical Psychology, as well as psychoanalytic psychotherapy training at the Philadelphia School of Psychoanalysis. In addition to her psychotherapy work, she is a community organizer and environmental and social justice activist. At PSP, Dr. Myles currently facilitates the seminar Race, Diversity, & Psychoanalysis: A Study and Discussion Forum.